Imagine one of the sculptures. Thin, irreducible, still and yet not rigid, impossible to dismiss, possible only to inspect, to stare at. If you stare, the figure stares back. . . What is different now is how you become conscious of the track of your stare and hers: the narrow corridor of looking between you – perhaps this is like the track of a prayer if such a thing could be visualized. I quite liked the previous book of art criticism I read by Berger and that’s enough of a rarity that I ended up seeking out this one, which is kind of considered his best, I think. It’s longer than Ways of Seeing and broader in a way. There are several essays in this one and there isn’t really a particular theme tying them all together. They range from modern art to, in a particularly startling and insightful essay, the ethical considerations of viewing animals in the context of the zoo. The zoo essay, called Why Look at Animals?, is the one that kicks the book off and it really sets a tone in terms of the reader just kind of sitting back and thinking, “Okay, I have no idea where this book is going to go.” Ultimately, I found this book to be absolutely brilliant. 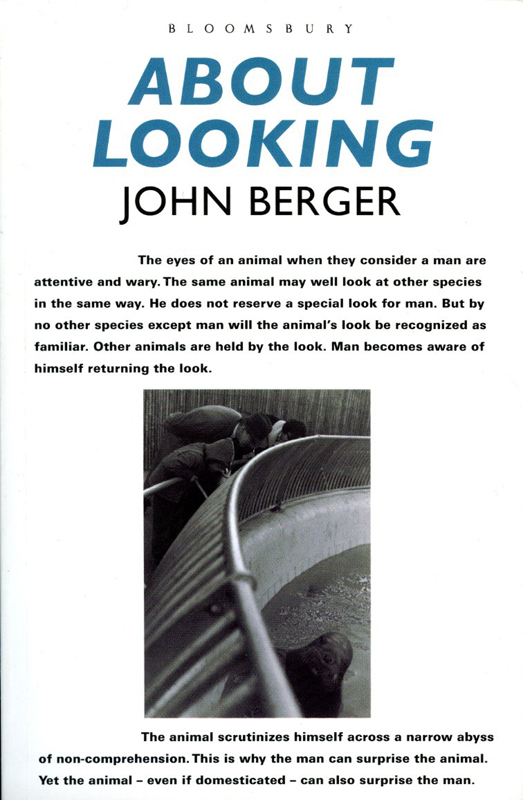 Berger has a gift for being both very accessible to a layman and quite beautiful in his prose. I think he’s genuinely the best art critic I’ve ever read and one of the few that I would recommend to a beginner who wants to gain a basic understanding of art and to a more advanced connoisseur in search of new, beautifully crafted insights. There were some genuine epiphanies had while reading this book; some of his writing on Modigliani really snapped his art into a focus I’d never seen before, revealing something meaningful behind what I’d always believed to simply be stylistic tics. And if you’re still not convinced to pick up this book, allow me to put the cherry on top of my thoughts and also illustrate just how wide ranging and outside the box Berger’s thinking really is: there’s an essay here comparing & contrasting the work of nightmarish painter Francis Bacon with the charming pop sensibilities of Walt Disney. Step inside the wonderful world of Berger. 4 stars. tl;dr – wide-ranging collection of essays about art is accessible, sharp, beautifully written and filled with genuine insights; the best book of art criticism I’ve yet encountered. 4 stars.